That's what 3,000 Americans chose to say last year, lining up at embassies around the world to renounce their citizenship. The numbers for 2013 represent a dramatic spike -- triple the average for the previous five years, according to a CNNMoney analysis of government data. Some of the rush is coming from expats who are tired of dealing with complicated tax filings -- which are only getting worse as new regulations come into effect. Unlike most countries, the U.S. taxes citizens on all income, regardless of where it is earned or where they reside. Reporting taxes can be so difficult that expats are often forced to seek expert help, which can cost thousands of dollars. Brad Westerfield, a tax lawyer at Butler Snow, said that renunciations have increased following the implementation of a new disclosure law -- the Foreign Account Tax Compliance Act -- that targets overseas tax evasion. The measure, approved by Congress in 2010, is aimed at recouping some of the hundreds of billions the government says it loses each year in unpaid taxes. "They've become so complicated -- the increased filing obligations over the years," Westerfield said. "You see more people giving up their citizenship or relinquishing their green cards ... Individuals [are] wanting to simplify their financial affairs, and just pay tax and report to one jurisdiction." Westerfield said that the first wave of renunciations in 2010 coincided with a part of the law that requires individuals to report foreign assets worth as little as $50,000. That's in addition to a separate provision that forces Americans to disclose foreign bank holdings larger than $10,000. 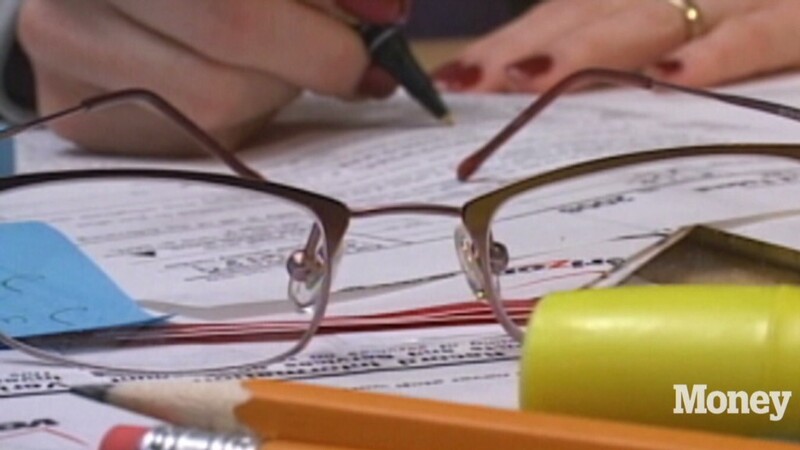 Renunciations dipped in 2012, but now another part of the law is kicking in. The new provision requires financial institutions to report all foreign accounts held by Americans. "People find that intrusive," Westerfield said. "Just because you live your life outside of the U.S., most of your assets are foreign assets. [Americans are] saying enough is enough." The law has prompted some banks to kick out their American clients rather than comply. Penalties can be high if banks make a mistake reporting U.S.-held accounts, even if they are basic checking and savings accounts. 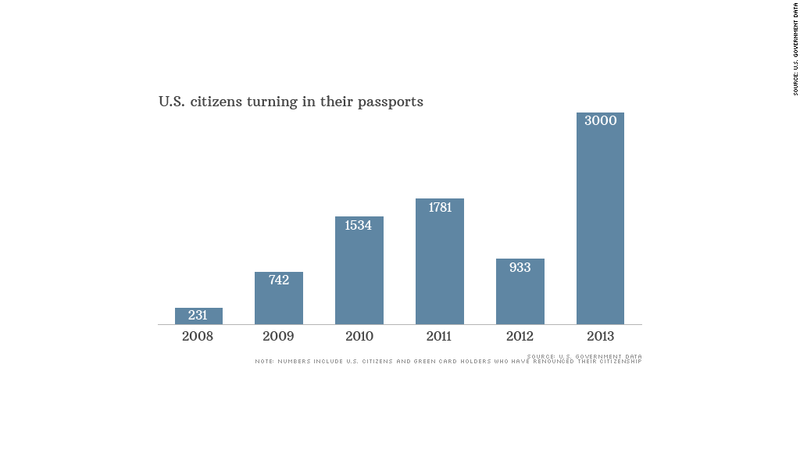 Some Americans may be giving up their passports to protect their wealth. Doing so could raise legal questions -- it's illegal to renounce your U.S. status to avoid paying taxes, and giving up citizenship doesn't mean you're off the hook for back taxes. "The U.S. used to be the 'Rolls Royce' of destinations -- the land of opportunity," said Hong Kong-based immigration lawyer Eugene Chow. No longer, it seems. "Both naturalized and native-born American citizens are choosing to say goodbye to Uncle Sam today." Have you recently found out you're an American and might owe back taxes to the IRS? Email Sophia Yan and you could be featured in an upcoming story for CNNMoney.com.